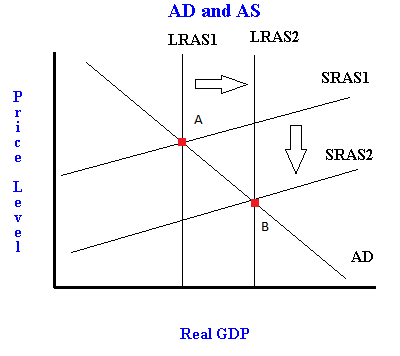 The de-regulation of white space and economic growth - FreeEconHelp.com, Learning Economics... Solved! For some time now mobile phone companies have been really pushing to gain access to all of these empty television airwaves. So the FCC (Federal Communications Commission) finally gave the green light for others in America to use this airspace. Mobile companies such as Verizon and AT&T have paid up to $20 billion dollars to get their share of the airwaves. The prime airwaves are in the 700-megahertz band. This certain frequency of airwave is not affected by any weather conditions, foliage or any infrastructure. These wavelengths will allow mobile carriers to ten times the coverage from a single tower than what they could with existing frequencies. White space could very well become a tradable commodity within the next decade. This will raise the amount of investment and money borrowed in the world economy as broadband resources become available. Economic growth depends more on technological change than on increases in capital per hour worked. This is due to the diminishing returns that capital has on productivity. If a country is saturated with capital, the most efficient way to increase productivity is through technological advancement. The transition to using white space should greatly lower the price of broadband (internet). This means that companies with fewer funds are able to start up. This is identical to an increase in aggregate supply caused by the discovery of new natural resources, in this case the natural resource is air waves. 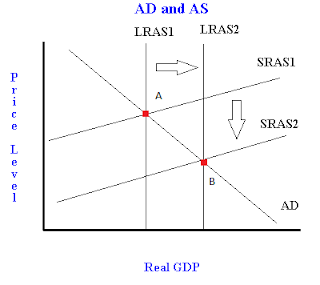 We know that more resources causes an increase in both short run and long run aggregate supply. Everything else equal, this means that we should see growth in real GDP and a lowering in price levels because of this technological advancement. Of course, other things are going on in the economy which may change this, but overall this change has a positive effect on growth. A new revolution in wireless technology may be just around the corner. The de-regulation of all the white space in this country was a big step in more efficient broadcasting. Yes, white space has been accessible for quite some time. But, the usage of it has been limited. Companies are now able to access frequencies that are most suitable for their product which will enhance efficiency and effectiveness for products. This will greatly affect mobile companies because now hotspots are turning from just single rooms and coffee shops to entire neighborhoods. White space has always been there but now it is going to be fully utilized, which will have a positive effect on economic growth.